The winter months in Turkey have been very kind to me. The fine dining, copious amounts of beer and my desk job have all combined to bless me with a spare tyre and a couple of extra chins. I don’t need people to tell me that I have put weight on. There are six pairs of trousers sitting in my wardrobe that I cannot pull over my hips. The English ex-pats have been diplomatic to me. They remember our culture background that is rude to discuss a person’s weight and they tactfully steer around the subject while still telling me that I look great. However in Turkey, any weight gain is shoved into the conversation like you are discussing the time of day. Don’t be surprised if you go to your favorite restaurant and the waiter recommends with a toothless grin that perhaps you should be drinking diet cola instead! That was also the first time that I discovered a difference between the Turks and the Brits when it comes to conversation topics that are socially accepted. The literal translation from Turkish to English is that you have taken kilos. To me this is the same as saying “you are now fat”. Your weight gain will be openly discussed in public and at times you will feel like waving your hands around like a mad woman to let them know you are still there. It was explained to me once that Turkish people can talk so freely about a person’s weight gain because it is irrelevant. The important aspects are your character, personality and whether you have a kind heart. Material looks have nothing to do with day to day life and therefore your weight is not an issue. Ok, I can see where they are coming from on that but at the same time, I was bought up in a society where telling someone they are fat is perfect grounds for the biggest cat fight ever seen. I like the English diplomatic manner of not discussing extra chins, spare types around the waist and my bulging hips that now swing from side to side as I walk down the street. Ok, so it is said behind my back instead but it still saves me the embarrassment of being the topic of conversation. This morning I sat down for breakfast with a table full of Turks. I had not seen one of them in quite a long while. After the standard social greetings of “hello” and “how are you?” I heard those words that make me cringe. Shoving their face full of bread and olives, they declared to the whole table that they could see I had gained kilos and everyone had a good laugh. I shrugged my shoulders and said nothing. My only thought was that this is one aspect of Turkish culture that I will never get used to. Wish there were more men around that didn’t want us all to lose weight and be skinny bop! I remember on my first trip to Istanbul I had a fellow, now and dear friend and husband of my best girlfriend, tell me I’d be attractive if I dropped a few kilos. One of the other fellow piped up and said “He doesn’t like it but I like your kilos.” They then proceeded to talk about the pros and cons of my kilos. I just laughed as my kilos were waiting for my boyfriend LOL. His only complaint was when I lost weight and was not respecting my own woman-ness by reducing. It is a crazy, wonderful, life lived out loud country and I wouldn’t trade it. No 3 is still being discussed for me as well G. Six years of marriage with no children is not normal, I have been told. I can let it just wash over me now because like you, I love the country so much! The three things Turkish people do not refrain from commenting on: 1) How much you earn, 2) How much you weigh, 3) Why you do not have children. Turks certain seem less obsessed with weight and looking thin. I think this is healthy. I see the Turks are similar to Latin America in this sense. I’ve know families who nickname their child gordo which translates to ‘fat’. And this is all socially acceptable, but seeing that it is it doesn’t carry as much…for lack of a better word… weight. I’ve grown to live with comments on weight in Turkey. After all “you have put weight on” is purely a fact. It is not cruel and not judgemental – it is correct. Why make life complicated when it can be simple? @Caz – When I wrote this piece, I was going through a little bit of a confidence crisis and I think that is why it meant more to me. They are like this in Thailand as well. Weight is not an issue, just like homeosexuality or any other “taboos” All that matters is who you are. I like this! Helps me to learn how to laugh at myself and understand what is really important. 🙂 This post made me smile. @Bron – I think people that come from Western countries do tend to be vain because of all the hype in the media and emphasis on how we look. Also when Turkish people say it to me, I don;t feel they are being mean, I think it is my upbringing that makes me self conscious. @Nod to Style – That is the thing as well. Turkish people are always giving me food. Even the neighbours bring round cakes and little delights. How funny Natalie! Interesting how some topics are taboo in certain cultures and others aren’t. i had the same experience in turkey!! i was with my brother in laws family and his mom pushed tons of delicious food on me for a couple weeks. needless to say i packed on some pounds, which the family proceeded to discuss and laugh about right at the table…at first i wanted to crawl into a hole and cry but then i was like, “oh, wait, I DID gain weight”. We grew to expect them and laugh and try to think of imaginative answers. 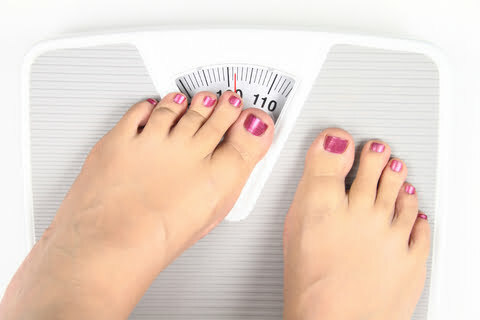 The weight gain is also something we have encountered over and over again. Thanks for being vulnerable and sharing this and getting discussion going. It would be good to delve into the underlying worldview that allows them broach this subject and compare it to why we care so much. Are we just more vain? Are there other factors? Have you felt that the people that said it were being mean? I have not found that to be the case. I’d rather weight not be a topic of conversation. I always got asked didn’t I miss my mother (I honestly didn’t and said so). My partner would get really mad and say I should say that I did – that no would understand. On the subject of weight, I lost a s…load of weight one winter but barely anyone noticed bc I was wearing very thick mens’ woollen long johns under jeans and huge fleeces and coats layered etc. On the first lovely day of Spring I walked into Egitim Kirtasiye wearing very form-flattering Spring clothes and the owner’s wife screamed ! Priceless ! @Turkeys for life – I would much prefer it to be a taboo subject! @MaryAnne. I liked your last sentence. My ego really took a beating. So true! That’s one thing I don’t miss about living in Turkey! I remember once, when I was living and working in Kayseri, I was walking across the school playground to get to class (this was at TED Kolej) and the head mistress of the lise smacked my bum and tutted, ‘popo nono!’ (does anyone remember those Lee Cooper jeans ads from the early 2000s?). I’ve had plates of pastries thrust at me at parties (the sit-in-a-circle-and-gossip-over-tea kind) at the same time as I was scolded for the circumference of my thighs. Strangely enough, here in China no one seems to care that I’m significantly larger than they are (not fat…just bigger) and I’ve had no negative comments about my size or what I eat. It’s nice. My ego really took a beating in Turkey. How weird. Just commented on someone’s blog today and they asked about things you will never get used to, being an expat in your chosen country. My exact reply was the fact my weight gains and losses are always up for open discussion in bars, in front of everyone. 🙂 I Can’t decide if it’s good or bad – the fact that it’s not taboo here. It’ll always shock me though.